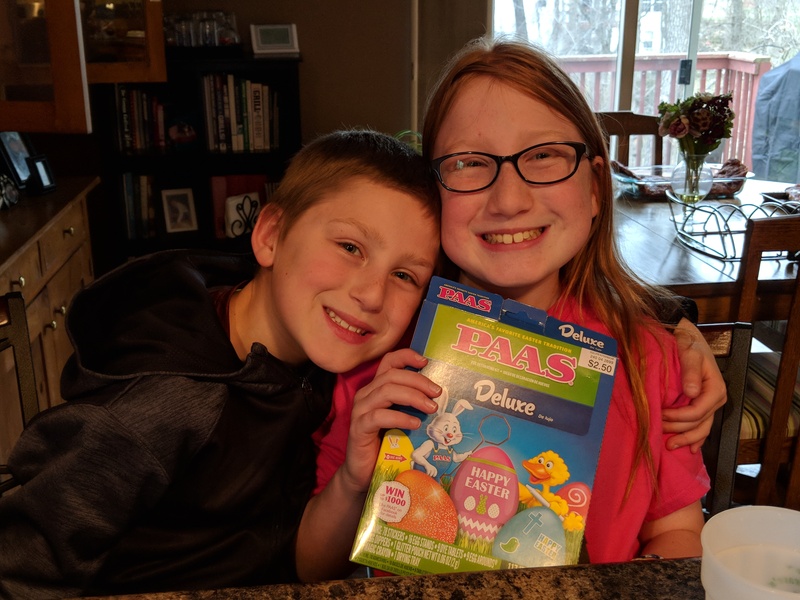 We dyed Easter Eggs today. 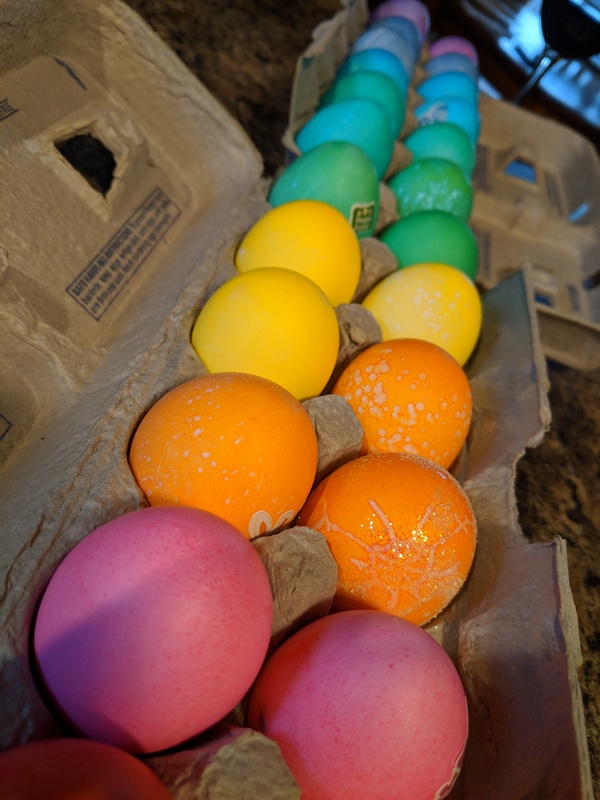 We had 24 eggs and nine different colors. 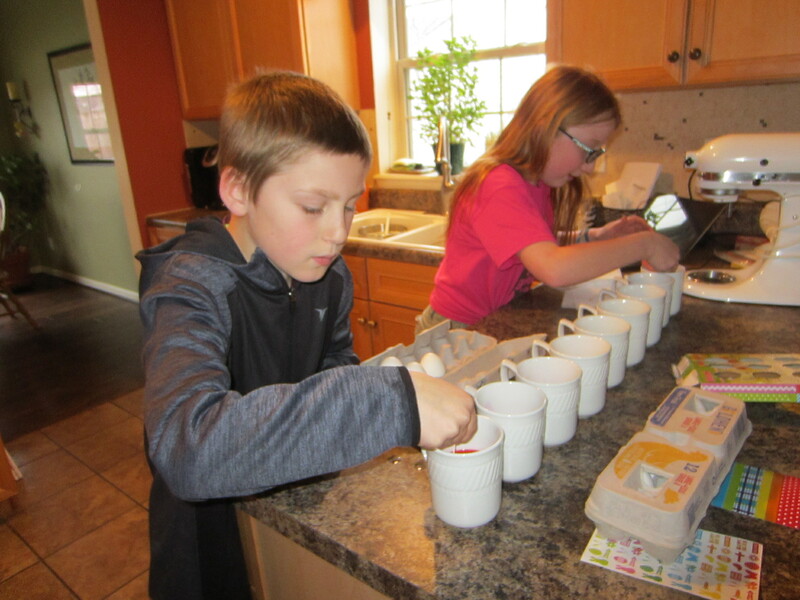 The kids took turns putting the eggs in their favorite colors. 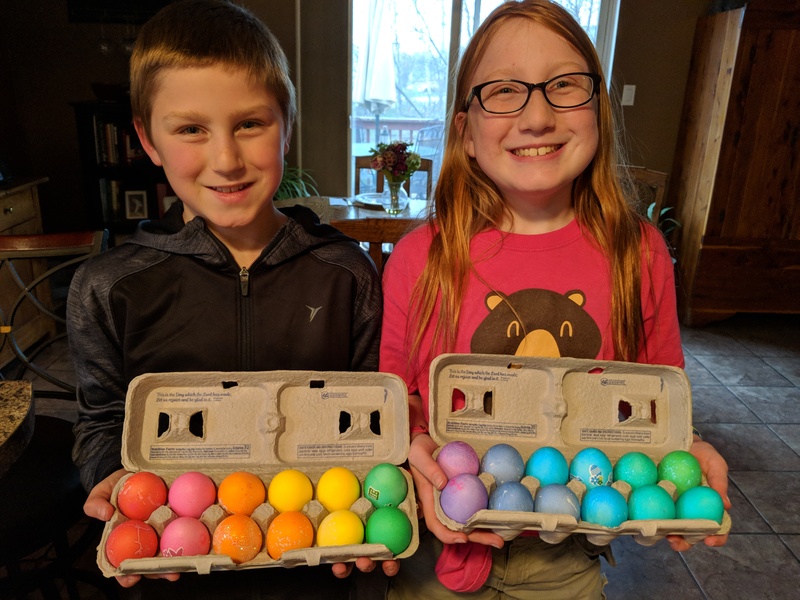 I suspect that there will not be many more years of egg-decorating fun for our family. I will miss these days.